Anyone remove the Rear Head Rests? I first remove the plastic cap, as i recall. It helps to have a second set of hands also. If you don't have four arms, you may want to enlist your wife, or mine ! First thing we did on our '17 was remove those rear headrests and turn the front ones around. I suppose there's a reason for the discomfort but I'll take my chances. 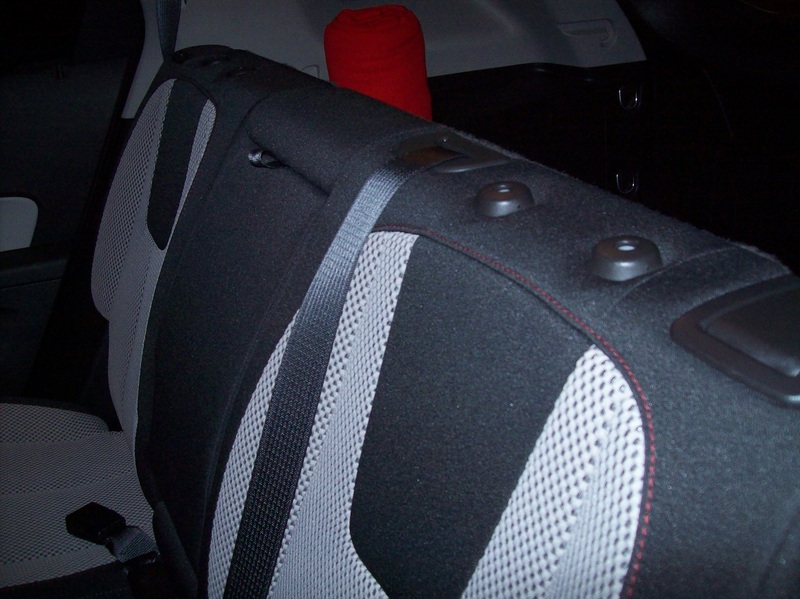 For the 2010-2017, the rear seat headrests are not removable. The owner's manual confirms this. Additionally, in the 2018 and 2019 models, the rear set head restraints can be raised/lowered/folded down but according to the owner's manual for those years the restraints cannot be removed. 2014 Chevrolet Equinox LT 2.4 4 cyl. I removed mine on 2014 Equinox. It really takes two people. One to insert end of paper clip in tiny holes at base. There's one on each side. You are depressing a spring loaded latch. As you depress these another person lifts up on headrest. I hate the loss of visibility with them. But I did replace them just for the occasional rear seat passenger. For legal/safety, GM wants you to believe this, but it is NOT true - they can be removed. Rear head rests on our '17 are in fact removed, and those front ones with excessive front tilt (combined with the concrete seat cushions) just make for an uncomfortable drive. Rear vision is not that much better but at least the distraction is gone. Last edited by tom3; 03-31-2019 at 04:05 PM. You can remove the 2018+ head rests up front at least, had to do so to take the tablet holders out that the dealer installed on our 2018 Premier... It's pretty tough, you can do it with one set of hands but, it helps to have a helper... There was a pretty good video on youtube that I followed to do the work, there is a retaining pair of retaining clips that needs to be removed from each headrest.